On January 23, 2013, I was in a huge meeting room in Novi di Modena, a little city in the Centre of Italy, with my parents, my friend Carlo, the President of the Italian Young Football Association and about five hundred football players aged 10 to 14. 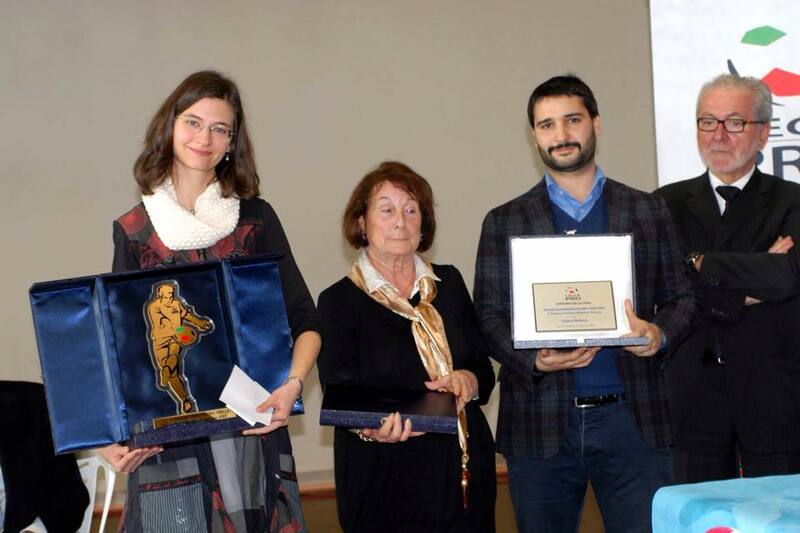 The reason I was there is that I was about to receive a journalistic prize dedicated to the memory of the Italian sport journalist Roberto Stracca. The event was organized by the Young Football Association and consisted of 2.000 Euros, and a cup. I was the award winner, and my friend Carlo the runner-up. As I learnt by experience, there is nothing to be embarrassed of in such occasions. If you are the winner, you have usually to smile, to shake hands, to thank people, to cash in the money and that’s all. So I was very relaxed when Youth Football League President Mario Macalli called Carlo and me on the stage. Wearing a big smile, he gave me the cup. And here came problems. Shaped as a football player in the act of kick a ball, the brassy and multicolored cup was about twenty kilos of weight, not to mention its packaging. It was inside a blue box together with a plastic support and a giant golden lock. All the stuff was almost higher than me, and surely harder. Despite my smile, I was truly embarrassed. Let’s summarize the picture. I was trying to hold the cup in front of five hundred people, and there wasn’t any table to lay the cup on. President Macalli had begun a very long speech, and photographers were taking pictures. So, what could I possibly do? If I had blatantly let the cup go, it would surely have been broken or damaged. In addition, if I had lost the grip, I would have interrupted the ceremony with a giant “crash”. On the other hand, if I had continued to sustain that weight, my arms would have moved away from my body. I was about to give up and lay the cup on the ground when Carlo realized I needed help. He came close to me and took one side of the box. I smiled at him and I moved on the other side. Thanks to him, I arrived at the end of the ceremony with no damages. From that moment on, Carlo and I refer to the Roberto Stracca Prize as “our” prize. Meaning that we lifted up the cup together – literally.